mBit Casino Dice Games Review – Scam or not? We will be looking at mBitcasino.com today and their available Bitcoin Dice games that we are able to play for you. They do have the same slot games from MrSlotty, SoftSwiss and GameArt which you always see with online casino websites today. These are the games that I tried out with mBitcasino.com. If you havent signed up for mBitcasino yet, check out this site to catch a 200% deposit bonus. Before you are going to start a game, make sure that you click on the options so that you will be able to change the bet settings per draw. On the options tab, you are able to choose your Bet and the lines that you want to play with. The maximum lines you are able to play is 25 and the minimum is 1. Once you have successfully adjusted these, close the window and click on the “recycle” button to start the draw. Everything is shown in the game page as you are also able to see everything from the money you won and how much you have spent. You can also see how much credit you still have left to play the game. To start the game you just need to click on the “Recycle” button that is located on the right hand side of the game. But before you click this, you need to make sure that you have adjusted the bet settings so that you get the maximum bet payout. On the right hand corner of the game screen, click on the plus button so that you will be able to pull up the additional settings tab. On the settings tab you can change the coins per line you are willing to bet and the coin value you want to put per coin. 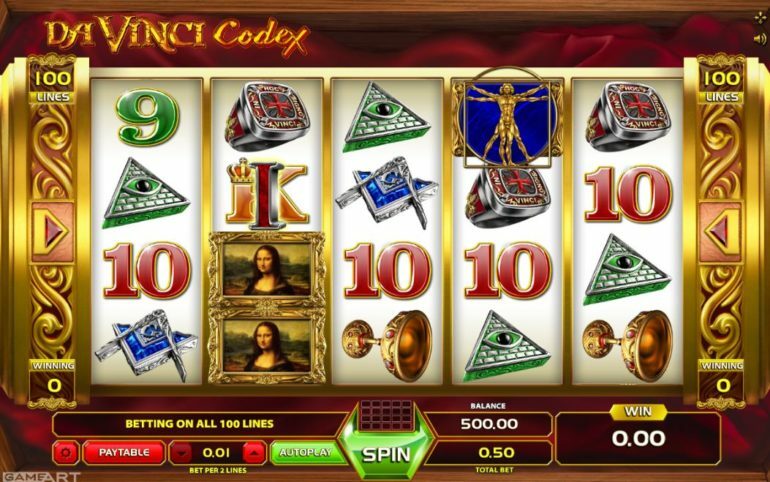 The DaVinci Codex is certainly one of your traditional Dice Games as the game is clearly a slot game wherein you would be fixing your bets to get the most out of every spin. But as basic as it sounds, you will still be having a lot of fun playing with this slot machine. Especially with all these “Illuminati” markings scattered around the game. 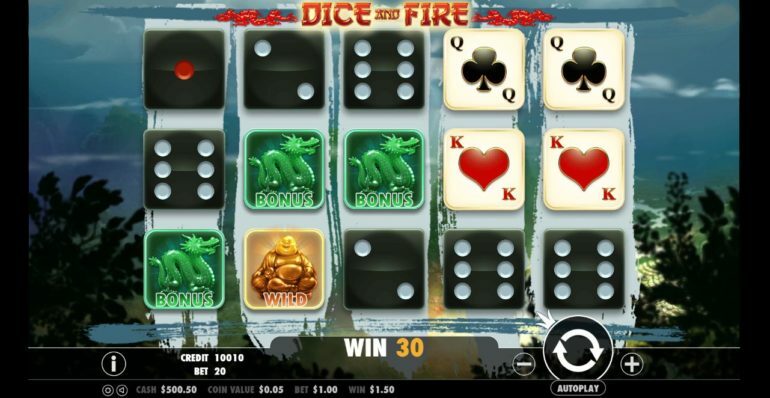 mBitcasino.com has a few Dice games that you are able to choose from. Most of them aren’t even real Dice games and just re-inventions of the game that you love to play. The website lacks real craps game, which I was really hoping to see. Most of the websites out there today have these types of games that you can easily just get in and out with. 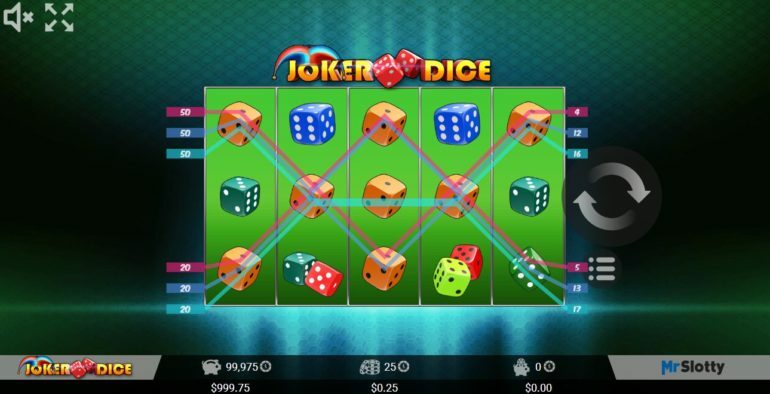 The website is smooth and aside from Dice games, you will have an option of playing Table Games, Slots, Video Poker, Live Games and so much more! They also have an intensive VIUP program wherein you are able to earn points ranging on your tier. You can learn more about their VIP program here. All-in-all this is a good website with design functionality.